The Bikecommuters.com 2000th Post Giveaway Contest! 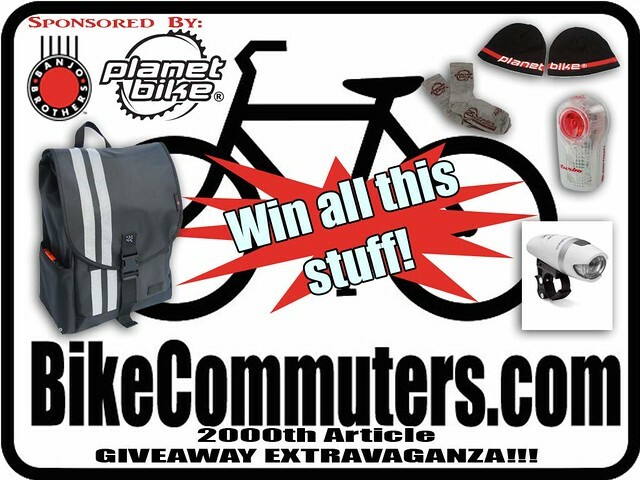 BikeCommuters.com > Commute > The Bikecommuters.com 2000th Post Giveaway Contest! You must provide a valid email address with your comment or be able to access your messages via Facebook…if we can’t get hold of you to tell you that you won, another winner will be selected from the pool. Also, failure to submit a link to one of our articles in your comment will nullify that entry. If your comment doesn’t appear immediately, have no fear: we’ll check our spam filter throughout the contest period and approve your entries as they come in. Questions? 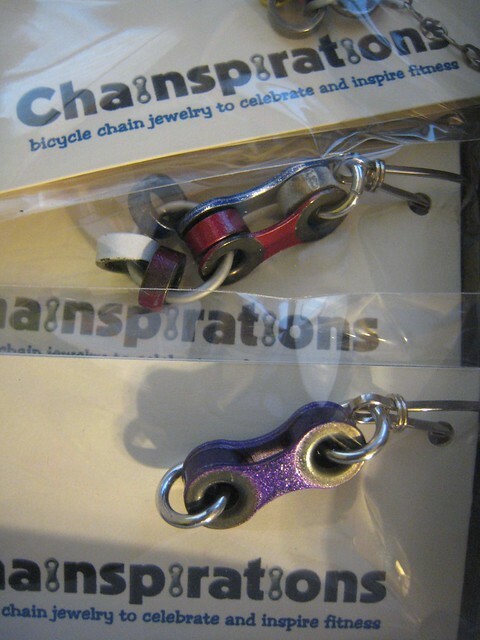 Hit us up before the contest period expires at info[at]bikecommuters[dot]com. Good luck, and thank you for reading along over the years! Wished I had waited to find out more about Joe Bikes’s version. (8speed, or CVPGT?) Great bike, fun to ride. Congratulations and I really enjoyed this book review and the book. Your site is an inspiration, please keep going! I really enjoy any bike news coming out of NYC/NJ area. We need more of it! This one helped me decide to buy that bike. Been commuting on it for two years now. Thanks for the great site and great info and the chance to win some great swag! Because of this post I have been riding with these shoes and enjoying them greatly! I really was impressed by this article because I too have had motorists tell me before that I don’t deserve to be on the road, but was uneasy about trying to argue. After that article, and a little more research on my own, I feel that I have a “leg to stand on” now. Thanks!!! I’m a relatively new reader but I’m glad I stumbled across your blog. BikeCommuters.com has been a valuable source of information for me for YEARS. Probably since before I began bike commuting. Despite all of the useful stuff here, my favorite post is this one, about the conversation with a police officer about bicycles, including point #11. Although I didn’t buy the Torker, your well-thought-out review got me thinking about what I really need from an urban bike. I love the bike and gear reviews, and the commuter profiles have been a fun read, too. I really like your Commuter Tools page! What a great giveaway! Congrats on such a long and successful history. Gotta say my favorite post is Elisa’s Commuter Profile. She’s such a fox! this one was handy – hadn’t thought to look for high visibility clothing at Home Depot (or other construction/work supply stores). I’m reading All About the Bike right now – thanks! I enjoy the articles that connect cycling and society/art… e.g. Of the more recent articles, I enjoyed the Conversation with a Cop article. It is interesting to me to get insight in to the thinking of the police and their views on safety. I think it would also be interesting to hear from a cop who patrols on bike to contrast. This is a recent article that got my attention and made me think…. Congratulations on the milestone and keep up the good work! I thoroughly enjoy your site. I live in San Antonio, TX and have awesome riding weather pretty much year round. My favorite article is THIS one! because I might win all this cool stuff! Folding bikes are just so cool! Mostly because they’re not. It’s that dorky tipping point where it starts to become cool again. This article helped me choose the Planet Bike Superflash, a choice I have never regretted. One of the best purchases since I bought my bike, thanks! I loved the article about the conversation with the cop. Very interesting. Enter me to win, I’m already posting on the your Facebook page. I never win stuff, but I had a minute to amuse myself so I looked up the first post I ever read here on bikecommuters.com. It was https://www.bikecommuters.com/2007/10/11/year-round-commuters/ a poll about who will or won’t admit to being a year-round commuter. (I remember that I was looking for inspiration and advice about committing to commuting)I thought that I remembered a clickable poll widget, but maybe it was taken down when the article was moved to the archives? Yes, I have been stalking this site for that long. It’s creepy, but what can I say? You folks are just full of useful tips and product reviews! https://www.bikecommuters.com/2011/08/14/the-carbon-footprint-of-bike-commuting/ This is the first article I ran across from you guys which totally hooked me in . I’m now a daily reader. Thanks guys! How to layer properly is the best article. If it’s cold all the time, it’s easy. It it’s not cold, it’s easy. The rest of the time you need this article. I loved your review of Levi’s commuter jeans. I was thinking of getting some for my husband for Christmas, but your honest review made me second guess the idea. Thanks. Great ammo for the dispute. After cycling across the US with a safety vest that fell apart by the end of the trip, this article led me to a new way to make myself visible without spending lots of money. My favorite? It’s about my hometown! It is amazing how many comments free stuff elicit. Should I be entered and win, give it to someone deserving. As in someone without lights. And tell us about it. I’ve got stuff already. Just for the sheer number of comments. Congratulations Bikecommuter.com on your 200th post! That’s AWESOME! I may not post a lot of comments on your site, but I definitely read all your post! Keep up the great work! It would be cool if you could do more reader/rider profiles. Those are always cool reads! Oh, and I meant 2000th! NOT 200th! It’s still early and my coffee hasn’t kicked in! I enjoy reading commuter profiles and tips from more experienced commuters. I have been bike commuting for 3 years now, but this is the first time I’ve attempted the winter here in Utah. This was one of the first posts I read, https://www.bikecommuters.com/2010/05/25/review-overboard-waterproof-backpack/. I was looking for a proper waterproof backpack and discovered bikecommuters.com. Well, I ended up buying the backpack and have been a fan of bikecommuters.com ever since. Wow! Congrats. You guys continue to be awesome and amazing! I’ve always enjoyed spirited exchanges regarding bike laws and bike infrastructure funding, especially if the articles involved help us identify the Bike Haters Of America. Most recent holiday gift guide was good. I bougth a handful of Cobra Tire Tools based on that article. Seeing as I have a rather short commute (7-8 miles) I tend to perk up and listen any time you guys are talking SS or Fixed gear bikes (so mucher simpler for how I ride). The article was terse but the title more than made up for it (coffee came out of my nose). This review actually convinced me to buy a Double Cross. I love this bike. Love this site. I like this one: follow the money! My favorite for the shortness of the article (I have a short attention span) and all of the comments following!! I enjoyed the first commuter profile of Mir.I.Am and have enjoyed reading her posts ever since! I’m glad she is a regular contributor. Opps – here is the link so I don’t get disqualified for the contest! I was tempted when I saw LEDbyLITE on Kickstarter, and then totally convinced to get one when I saw your review. Thanks for the awesome work. Ended up going to the LBS and ordered the larger version of this based largely on RL’s review. https://www.bikecommuters.com/2007/09/27/banjo-brothers-commuter-backpack-review/. No longer need the extra space of the large, so the medium would be a better fit for my commute. Found this site when I was looking for tips for cold weather commuting. Being a Californian I needed some good insight on cycling during the colder part of the Minnesota year. Love Banjo Brothers panniers and Planet Bike gear! Well I will try that again. I have only been reading your articles for a little while, congrats on reaching 2000. I think this was the article that got me to swear by the PB superflash. I was so excited when I first read this article and decided to check it out. Its about time they had some good quality commuter pants….however, they only have men’s and not women’s options…..so hopefully they hurry up with the women’s commuter pants!! Thanks for all your work over the years. i’ve appreciated your honest assessments and practical advice. Can’t beat advice from the Man himself. Thanks for the heads up and safety tips! Love the bicycle commuter profiles!! I like music, and I thought the picture of the little girl was funny.